SPIndustries was established in 1996 in Baden, Austria. At this time its main focus was the trading of insulating material as well as the production of magnetic slot wedges. 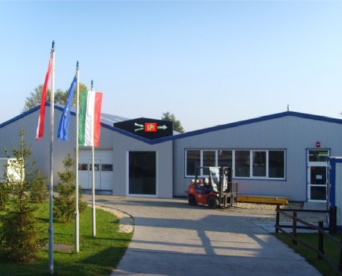 Due to the growth of the Company and the market demand, SPIndustries decided to build a production site in Hungary lose to the Austrian and Slovakian border in the year 2000. As soon as the production site was finished we had the opportunity to produce stators for several well-known companies which were trying to outsource their production to a low labor cost eastern European country. After successfully establishing the stator production, more companies saw the possibilities as well as the high Quality SPIndustries offered to them and we had to build further production sites: Mosonmagyarovar, Eastern Hungary, Daytona – USA. Currently SPI’s Employees are located on 3 different Continents. Since 2018 SPIndustries Kft. ist part of the newly founded ASPIN group. Although the production site in Hungary continues to exist by the name of SPIndustries Kft., the enterprise as a whole is worldwide known as ASPIN, respectively ASPIN group.